Restaurants that truly care about the quality of their menu offerings use the freshest ingredients possible. Now, it will be easier for locals and visitors alike to find restaurants that source products from the High Country. 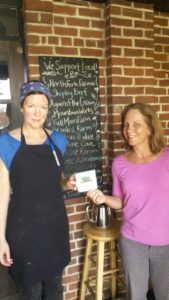 High Country Grown is a marketing initiative launched by the Watauga Food Council to promote restaurants that source locally-produced products in the mountains of North Carolina. Certified restaurants are listed on the High Country Grown website. They also are provided with a gold, silver, or bronze level certification window sticker to display. Restaurants that qualify for a gold level certification source at least 10 locally grown or made products at all times. Current gold level qualifiers are Lost Province Brewing Company, Proper Restaurant, and Stick Boy Bread Company. 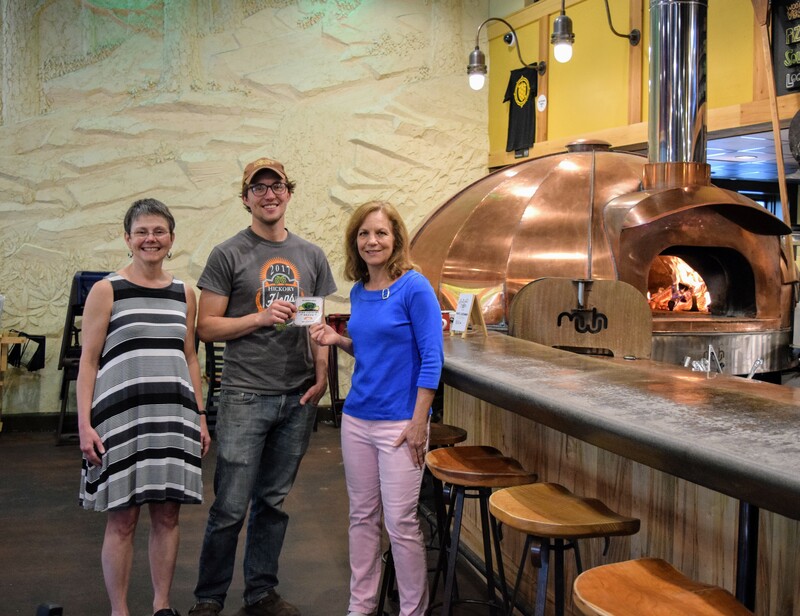 Margie Mansure presents a High Country Grown Gold Level Certification to J.P. Mason and Lynne Mason of Lost Province Brewing Co.
Margie Mansure presents a Gold Level Certification to Angela Kelly of Proper Restaurant. Restaurants that qualify for a silver certification source at least 5 locally grown or made products. Earthworks Farm to Table Catering and Melanie’s Food Fantasy have qualified for this level. 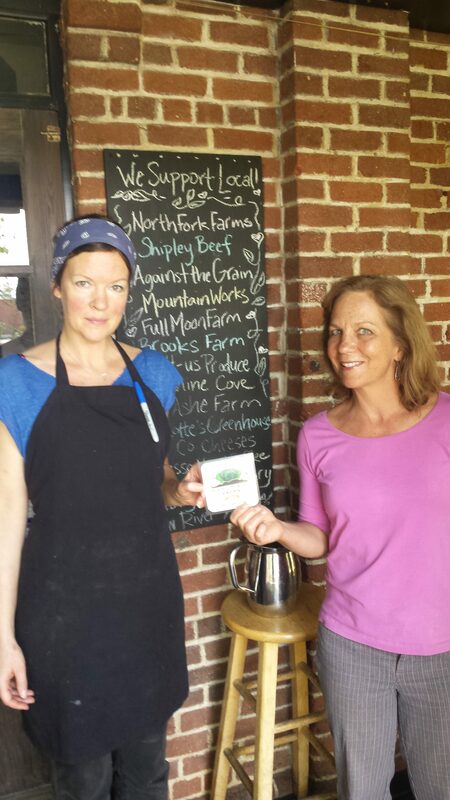 Restaurants that qualify for bronze level certification source at least 2 locally grown or made products at all times. Come Back Shack, All Thai’d Up food truck, and Stick Boy Bread Company, the Kitchen have qualified for this level. The purpose of the Watauga Food Council is to serve as an umbrella organization to coordinate and strengthen our local food system. The Watauga Food Council is seeking other restaurants to join in this innovative marketing initiative. Those interested may complete an online form on the website and, or contact Margie Mansure at margie_mansure@ncsu.edu.